Austinites are many things. They are talented musicians, professionals in the growing tech industry, diverse families, and protectors of local businesses. Austinites are also informed and progressive citizens, adopting "clean-air city" policies to promote no-smoking ordinances, and gaining a reputation as one of the most bicycle-friendly cities nationwide. In 2017, U.S. News & World Report named Austin the #1 place to live in the country. Forbes called it the #1 city of the future in 2016 and the #1 "next biggest boom town" in America in 2017. Austin, Texas, is a city that values individuality and expression. From its support for local businesses ("keep Austin weird!") to its passionate music scene, Austinites are known for their appreciation of creativity, style, and the arts. This appreciation crops up everywhere in day-to-day life: the businesses that people patronize, the way they spend their recreation time, and the places they live. The architectural scene in the flourishing city of Austin reflects a commitment to sustainability, the natural landscape, and contemporary elements. Architects are especially curious as to how they can incorporate adaptive re-use elements, especially in the workplace. Because the city is rapidly growing, office space is constantly being developed and designed. Many startup companies have their roots in Austin, as do many national headquarters. The following list ranks the best office architects in Austin. These are architects who specialize in creating office space based on the needs and goals of the diverse companies they serve. The designs on this list are all by award-winning architects. The firms deliver the highest quality spaces with innovative and sustainable designs. The restaurant scene in the booming city of Austin is one of the most beloved in the country. The architecture of these spaces reflects that, in addition to a serious commitment to sustainability. Many of these architects use both the natural landscape and Texan elements in their designs. They also look to incorporate the original framework, local materials, and local artisans whenever possible. Community is integral to each of these architects’ purposes. The following list ranks the best restaurant architects in Austin. These are architects who specialize in creating sophisticated and open hospitality spaces, based on the needs and aspirations of the chefs and restaurant owners they collaborate with during the design process. Many have received awards or have worked on award-winning restaurants. Austin is a city that attracts creative and design-loving people, many of whom seek to build innovative and one-of-a-kind custom homes. 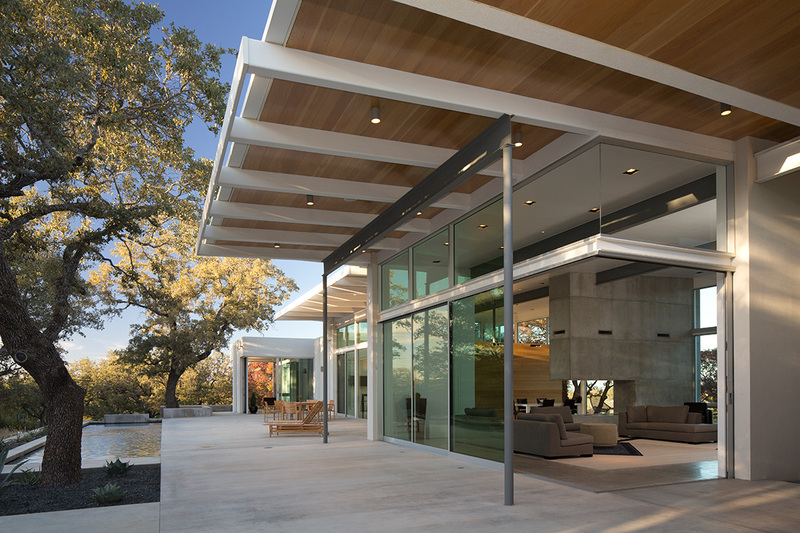 The following list ranks the best design-build architects in Austin who collaborate with the homeowners and their subcontractors and vendors to create the best space possible. Many of the architects on this list aim to be sustainable by using ecologically friendly materials and processes. Since many of these homes are in natural settings, these designers are used to working around the natural elements of the site. The firms on this list deliver the highest quality spaces with innovative and eco-conscious designs that have won them industry recognitions.